How was your weekend? Here are five things I did this weekend. 1. Walked Brooklyn Flea, hoping to see what Recycled Brooklyn had on offer. Unfortunately they had next to nothing displayed. Yep, I’m still hunting for the perfect sofa table. 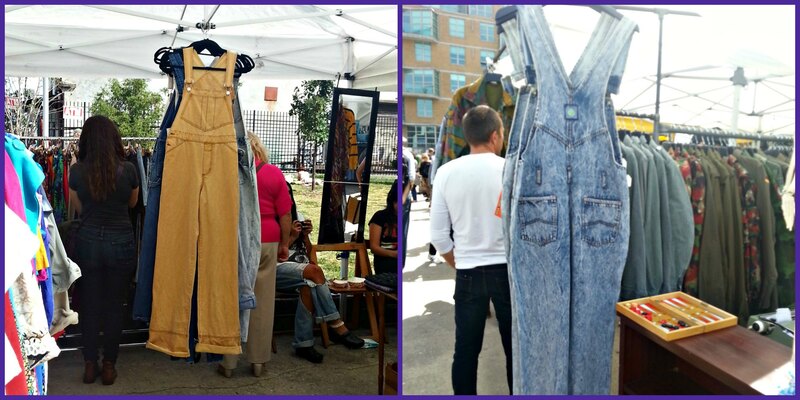 Instead of furniture, I saw lots of overalls. 2. Finished this stupid book. I disliked the book so much that you may get a full post about it. 3. Caught up with several friends, all in one night. We made stops at Chez Jacqueline (thanks Groupon), Peel’s and Spuyten Duyvil. 4. Watched Breaking Bad. I have been binging on the show for about three weeks now. Know how I hate when people say “I’m obsessed!”? Well, I am. My goal is to catch up in time to see the last episode or two in real time. Only problem? The series finale airs opposite the Homeland season 3 premiere. 5. Took this picture. 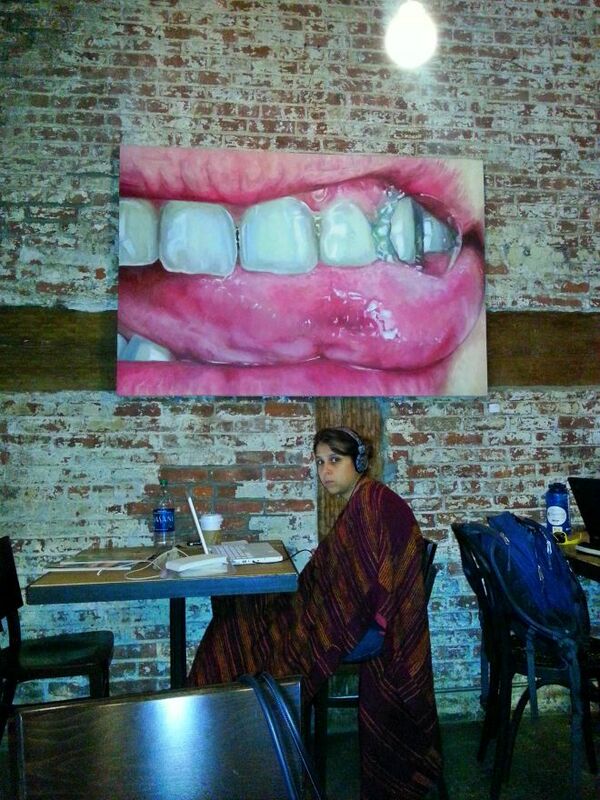 My intent (honest) was to capture the art staring at me while I worked on blog posts but instead I captured a moment. So much to discuss, right? This entry was posted in Life stories and tagged Bitchface, book, brooklyn, Chez Jacqueline, friends, My Education, nyc, Peel's, spuyten duyvil, Susan Choi on September 16, 2013 by onechicklette. Yay Peels! And I have to watching Breaking Bad. I’ll need to take a week off work to catch up on the five seasons, but from what I hear it’s worth it!